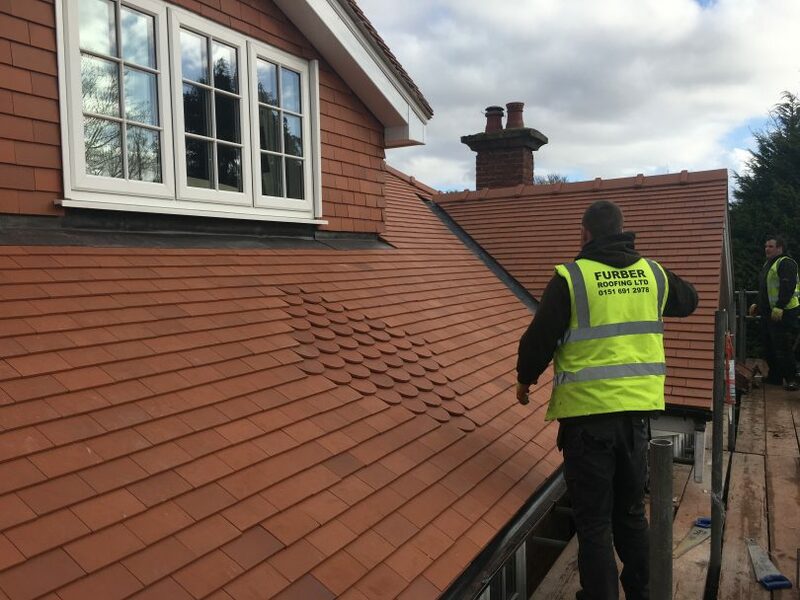 We have recently carried out a reroofing project on a large detached house in Prenton, Wirral. 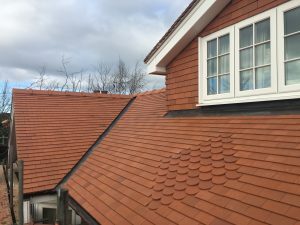 When the client’s first contacted our office they where very keen to preserve the original look and quality of the existing roof. We where happy to offer them advice on how to achieve this and provide them with a written quotation. Our own in house scaffolding team erected scaffold to the perimeter of the building. This ensured a safe working platform to all the roof elevations. The roof was then carefully stripped off removing all the old laminated tiles etc. with all the debris removed from the site on a daily basis. 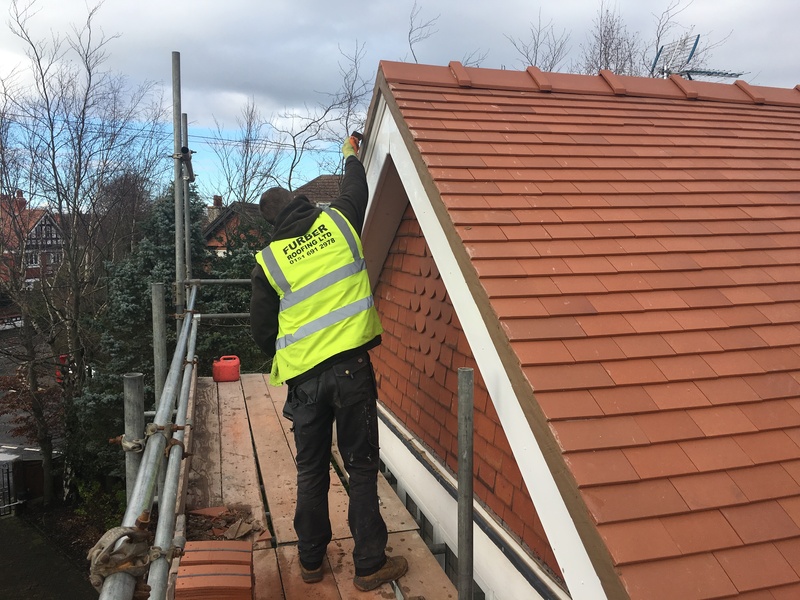 The roof was then recovered using new Marely eternity red clay small tiles, fixed to new breathable felt and treated timber battens. 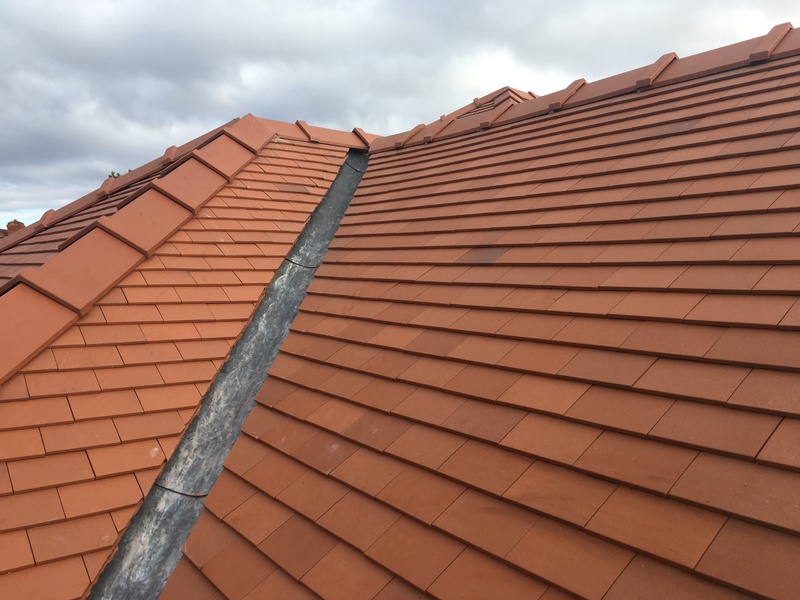 New Marley red clay ridge tiles where also fitted and fixed using a mortar bed with added mechanical fixing. 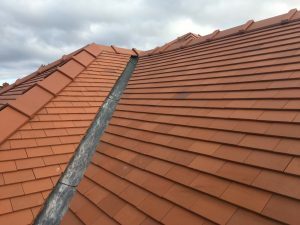 As a result the roof has now been completed to our usual high standard. 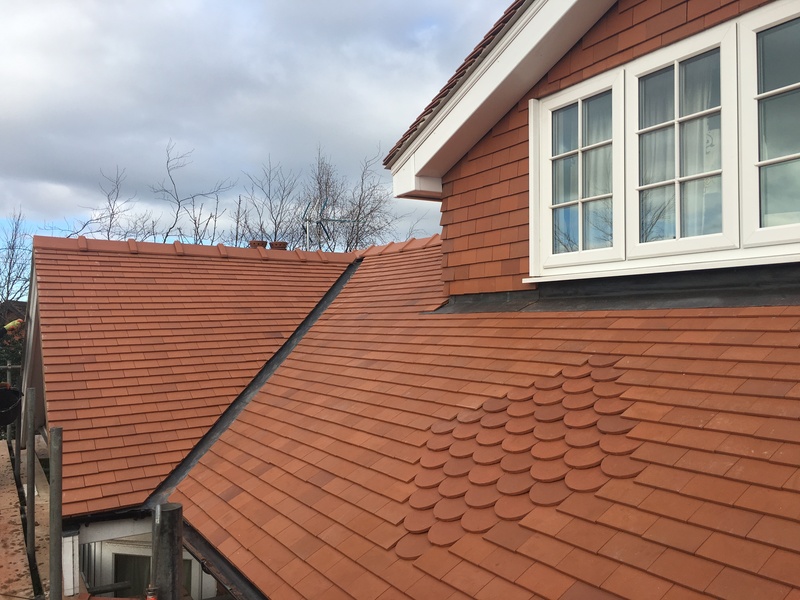 The client’s are delighted with their new roof which has retained all the aesthetics and charm of the original roof. Thinking of reroofing your property? We will be happy to provide a free survey and advice along with a written quotation.